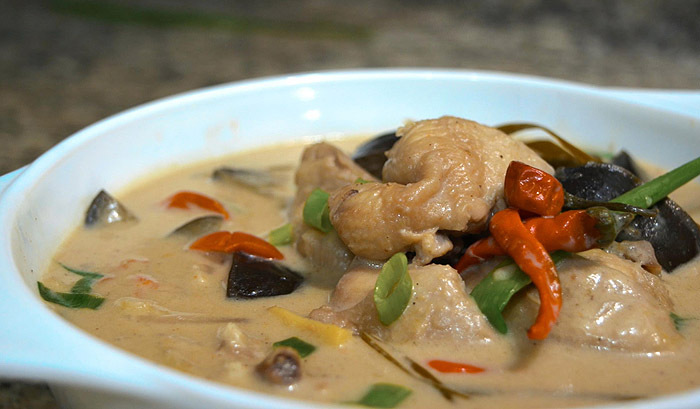 Ginataang Manok is a simple yet truly flavorful Filipino dish. It has a very distinct taste with a rich and creamy texture. Here's a ginataang manok recipe shared by Miss K Cook via her YouTube channel. Check it out! Spicy Ginataang Manok is best served hot with a cup (or two) of steamed rice.